It reverberated across the land like Dr Kofi Annan’s ‘We Have A Deal’ message in front of Harambee House in February 2008, after a breakthrough in power-sharing talks. 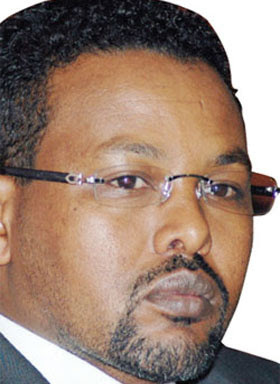 On Thursday, history thrust on Parliamentary Select Committee Chairman Abdikadir Mohammed the task of briefing the nation on political compromises struck in Naivasha on issues that could have killed the dream for a new constitution. 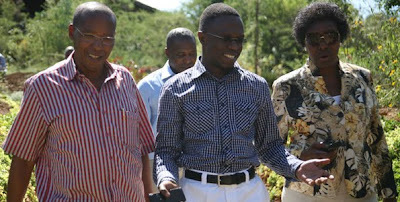 "It was difficult but by the grace of God we did it,’’ sighed Abdikadir, ending the anxiety that had gripped the country from the moment the 26 PSC members checked into Great Rift Valley Lodge on January 17. Incidentally, as if in a rush not to be seen to have mimicked the English saying ‘on the Eleventh Hour’, on Day 10 on Thursday, PSC broke up its retreat with a smile, and a promise to hand its consensus report to the Committee of Experts this afternoon. But despite relief sweeping across the country from the PSC cross-party deal that even President Kibaki and Prime Minister Raila Odinga could not get their key committee of Cabinet on review to hammer out, there are still two hurdles to be overcome. One depends on whether Kibaki’s Party of National Unity and Raila’s Orange Democratic Movement would agree on how CoE would incorporate PSC’s deal into a final document for a referendum. Two, for the new law to be promulgated, it must be passed by Kenyans at the referendum. "We have gone through every chapter, we are on course to handing our report over to CoE tomorrow afternoon,’’ said Abdikadir. With the statement he eased fears the talks would stall because of ODM-PNU disagreements on what amounts to ‘pure’ presidential system, the nature and levels of devolved government, number and distribution of constituencies to be created, separation of powers, and ensuring the independence of the Executive, Judiciary, and Legislature. PSC team agreed on a pure presidential system in which the President will have the option of picking Cabinet ministers from Parliament or outside. But those picked from the House would have to relinquish their seats. Just like in the US from where the model is borrowed and adjusted to the demands of the two sides of the Coalition, the President has to be nominated by a political party but should not hold any party office. "The President can serve a maximum of two five-year terms, must also get 50-plus one vote of the total votes cast, and 25 per cent of votes in more than half of the 47 counties," said Abdikadir. The office of the Prime Minister will therefore be expunged from the Constitution. Women will be allocated a quarter of the 25 Cabinet slots, whose membership includes the President and the Vice-President. The proposed size of the Cabinet, 25, is almost half of the current 42 ministers appointed when the Grand Coalition Government was created in 2008. An earlier suggestion that the President nominates 50 per cent of the Cabinet from outside Parliament was dropped, just as a hybrid system initially proposed, and which CoE discarded. Independent candidates will also be allowed to run for president if the proposed law is adopted. Any eligible voter can run for president, but no age limit was set for people seeking top leadership. The President will also enjoy the power of appointing ambassadors, High Commissioners and diplomatic representatives with approval of Parliament, but will have the power to fire them without consultation. Parliamentary elections will be held in August and presidential poll in December of the election year. The powerful president the PSC proposed shall also chair a new organ called the National Security Council. In the legislature, the National Assembly and the Senate shall have a combined strength of 349 MPs. Parliament will comprise of the current 210 members, additional 80 representing new constituencies to be created, and 47 special seats for women. There shall also be 12 slots for nominated MPs as is now. The National Assembly shall therefore have 349 seats. The Senate shall have 47 members, also elected by each of the counties. The number of counties was settled on after PSC deadlocked and agreed to do away with them. Parliament was, however, given the power to impeach the President who will be replaced by the Vice-President to serve the remaining term should he or she vacate office. Parliament will also have its own calendar and set its agenda unlike now when the President decides when to open and prorogue the House. The devolved government was left at national and counties, but equity funding shall be created and devolved fund entrenched in the Constitution. This was agreed after PNU stuck on 2.5 per cent of Gross Domestic Product and ODM 20 per cent. Earlier in the day, MPs told The Standard PSC agreed to have 12 per cent of the national budget shared out equally among all counties, but that was not in the final briefing. Among independent commissions created were the Teachers Service Commission, Public Service Commission, Judicial Service Commission, Parliamentary Service Commission, and the Kenya Human Rights and Gender Commission. Police and Administration Police shall also be under one command, with the title of inspector-general, who will head the new unit to be called Kenya Internal Security Services. The office of the Auditor-General was also retained in the proposed constitution. In the Judiciary, PSC decided the country establishes a supreme court of law and discarded proposal for a constitutional court. There shall also be the Kadhis court, as it is today and court martial, which will be retained as surbordinate institutions. Conception was also resolved after it was agreed life begins at conception, and not at birth, as earlier mooted by the PSC, thereby closing the window anti-abortionists feared would be abused. Overall, it appeared the PSC bowed to pressure from interest groups to create harmony and cushion the draft from encountering opposition at the referendum. Sources at the meeting revealed Deputy Prime Minister Uhuru Kenyatta summoned 14 of his colleagues on Wednesday night to fight for reinstatement of the Teachers Service Commission in the draft. The team did not look at the Transition Clauses, which takes care of movement from the old to the new constitution, because of time constraint. They also recommended that Independent Interim Boundaries Review Commission and the Independent Interim Electoral commission be merged. Finally the Parliamentary Select Committee has come out in its true colors. It has shown that it can bastardize the people’s document to suit the narrow whims of just a handful of people in Parliament. The deal reached by 26 MPs in Naivasha is a hoax that Kenyans must reject even on pain of having no constitution at all. When Kenyans asked for another chamber of the House, they had their reasons for doing so. Like the imperial presidency, the 9th. and 10th parliaments had gotten out of control. Motions were passed in parliament that needed not have been passed. Motions of censor were defeated on the floor of the house after money had changed hands. T he august house had become a market place and a trading floor, a fact that even MPs themselves have confessed to. We needed a stronger elected Senate to check on the excesses of this lower house. We asked for nothing less. Now this group of self-styled constitution experts thought it necessary to strike a deal on a Senate of 47 Kenyans nominated from the counties, with no legislative powers over the Lower House and worse still relegating it to a junior position. They had the temerity to restrict the Senate to 4 meetings a year to deal with county matters. This is an affront to Kenyans and a waste of public funds. More importantly, the 47 districts on which the 47 counties are based are now much larger than the constituencies ordinary MPs will be representing. It is only fair that a senator should be elected by a larger majority than an MP hence his superiority to the MP. More critical is the fact that it is wrong to restrict senators to one seat per county as MPs increase their constituencies. The truth of the matter is that each county should have no less than 2 senators making a total 94 elected and 6 nominated to represent special professional skills and interest groups. To say the least, 349 MPs in the Lower House is obscene and wasteful. Kenyan cannot afford this kind of luxury. Kenyans do not want a group of 47 nominated senators that will lobby to buy their seats from the sitting MPs and political regional warlords. They want to elect their own senators on the same day MPs will be elected. It is that simple. Because MPs now realize that a pure presidential system will bar them from the Cabinet, now they are scheming to elevate themselves as Chairmen of House Committees to Cabinet status to further siphon public funds they do not deserve. Why have two parallel sets of cabinet ministers? We need real and genuine separation of powers. They cannot have their cake and eat it. On the number of cabinet positions; let us remember how many cabinet posts there are in Obama’s country of 300 million people and an economy a thousand times stronger than Kenya’s. Let us stop and think of how many cabinet positions India has, with a population of 1.9 billion people has. In both cases, they have less than 20 cabinet ministers. Why would anybody think of 25 cabinet ministers in this poor country once we devolve most of the government to the regions? What will these 25 men and women apart from the President and his deputy be doing? Under the circumstances, Kenya should have a minimum of 8 cabinet ministers and the same number of assistants if we are serious about this constitution. As the PSC deliberated on the new cabinet, did they give a thought to the current permanent secretaries? If in the next dispensation, the president appoints beaurocrats and other no- MPs as Cabinet Secretaries, it will be the surest way to declare the current PSs redundant because there will be no work for them to do. It is now clear that the 26 MPs in their selfish drive decided to usurp the powers and mandate of the Committee of Experts. Instead of looking at contentious issues pointed out to them by the CoE, they chose to rewrite the entire document without any regard to the feelings and aspirations of millions of Kenyans. One therefore wonders why parliament appointed the Committee of Experts in the first place when along the PSC knew it was competent to write the document. At this point in time, it is imperative that all Kenyans rise up against these 26 MPs and reject the document at the referendum if it ever gets past the CoE and Parliament. We cannot afford to let pass a document that serves the personal whims of just a handful of greedy Kenyans. Yes, let CoE either reject the Naivasha deal or Kenyans will do it for them at the referendum. If one speech can replenish a presidency–and I'm not sure it can—Barack Obama's State of the Union address was just such a speech. In tone and content it was aimed squarely at the fickle voters he has lost since last year: the swing-voting independents in the middle of the spectrum. The president seized the center by stressing some conservative-sounding proposals; by lamenting the current corroded state of the political process; and by deploying a tone of sweet, sometimes even rueful reasonableness (even as he was deftly sticking the shiv into his Republican foes). As a piece of politics, it was nothing short of masterful. Sure, the president said he would let George W. Bush's tax cuts for the rich lapse, and he talked up some new (though modest) job-creating spending programs. But his economic proposals had more than a whiff of Reaganism in them, stressing as they did tax cuts, tax credits, rebates and the like. He even touted the possibilities of off-shore drilling and nuclear power. And sure, his proposed spending freeze is more flashy than fiscally powerful—it would exempt much more than it would include—but Obama ventured boldly onto GOP turf by promising to tackle the debt head on, and by reminding voters that it was W who started the avalanche. But perhaps his strongest bid for independent votes was in his philosophical tone about the failings of Washington: the rampant partisanship (which of course he is somewhat responsible for); the lack of openness (he promised to do more); the need to further rein in lobbyists (even though his minions have been trucking with them). He took blame, conceded error and extended a hand with a smile on his face. All of that—that sweet-seeming reasonableness and calm working through of issues in search of bipartisan answers—will be music to the ears of the unaffiliated. Now all the president has to do is deliver on the hope he has now revived: that he can change both the way Washington works, and what Washington in fact decides. Kenyan Members of Parliament negotiating a new constitution were upbeat on Wednesday, reporting that they had resolved the most difficult issues in the draft law — the executive, devolution and the legislature. The 26 MPs who make up the Parliamentary Select Committee were in talks to find acceptable compromises on the draft constitution ahead of the referendum expected later in the year. Informal sources said after 10 hours of negotiations, the MPs had agreed on two levels of devolution — national and county. They had previously agreed on two tiers, national and 18 regions but the issue was revisited. The PSC, in accordance with parliamentary rules, does not provide detailed official briefings of its discussions and some of the information previously reported on the basis of interviews with individual MPs has turned out to be inaccurate. On Wednesday, MPs said they had fixed the size of the Cabinet at 25 — including the president and the deputy president. MPs will not be eligible to serve in the Cabinet. MPs appointed to the Cabinet will have to give up their seats. And the office holders will be called Cabinet Secretaries — not Cabinet ministers. The president will be head of state and head of government but his authority will be checked by an empowered parliament and regional governments. Attempts by a section of the PSC to re-introduce a hybrid system of government as proposed in the Draft Constitution were rejected by majority of the members. The provision to impeach the president was upheld and the president’s running mate, who will also serve as deputy-president, will act as president for the remaining term if the president vacates office. “But the acting president will be deemed as having served a complete term if he or she serves more than half the original term,” one source said. Another MP said a clause had been included requiring the president to ensure that the Cabinet reflects regional diversity and that no more than two-thirds of the ministers are of the same gender. The president will also have the powers to create public offices other than constitutional offices. Sources also indicated that chairpersons of parliamentary committees will have the same status as Cabinet secretaries. Discussions on devolution stretched late into the night before ending after midnight and resuming on Wednesday morning. The first session was delayed after most MPs turned up at the conference room late. “We have agreed that the leader of the largest party in parliament will be referred to as Majority Leader while the leader of opposition will be called the Minority Leader,” an MP told the Daily Nation. Reports from the meeting indicated that appointments to constitutional offices will be checked by parliament while parastatal heads are to be vetted by the relevant departmental committees. Parliament will also have control over its own calendar. And the Senate, which will be lower than parliament, will be made up of senators, one elected from each county. According to the MPs, the purpose of devolution was to help check and balance the executive. The MPs discussed the devolution chapter from Tuesday evening to midnight and continued on Wednesday up to 4pm. Ahead of their lunch break, the team formed a subcommittee of three members from each side to try and break the deadlock after they disagreed. It is this team that made the decision on behalf of the PSC which was unanimously adopted by the committee. Coming from the debate, according to sources, was a decision for an Act of Parliament to set the formula for sharing of resources. This, it was reported, will be based on poverty index, population and relative contribution to the country’s Gross Domestic Product. The PSC is also said to have agreed that 12 per cent of the national revenue be transferred to devolved governments. Speaking to the Daily Nation in confidence, PSC members said the proposed senate will legislate matters relating to the devolved units. The counties will also be the coordinating unit for the Constituency Development Funds. Last week, sources revealed that the PSC had settled on 18 regions and no counties though the matter had not been debated conclusively. PNU is said to have indicated that it wanted the regions to be increased to 33. The other disagreement was on what model the devolution should take – resource based or political. While ODM was seeking political autonomy for the devolved government, PNU proposed that the system be resource-based. It was, however, agreed that the two should form the basis for the devolved structure to ensure that governance and resources were equitably distributed to the lowest level. Sad and money wasting if MP will be appointed and by-election held. With our short sighted leaders and self serving goverments. We can be having as many as 10 by-election. Even more sad if the presidents can appoint election rejects. If the president is impeached, the president as well as the vice president should both go. If the vice president is to take the place of president in case the president is impeached, then the most work the vice president will be doing is plotting on how to impeach the president. Am very sad to see almost everything PNU proposes is accepted while ODM proposal is critised and scrutinised,where is Orengo the law guru whom we trust.Dont let PNU retain centralise system under "devolution" of their own meaning..remember PNU doesnt want to empower people but enslave us to keep on begging from central goverment ..corruption to be countinue as usual from them. The Senate members should be elected by the voters of the County and given more legislative powers over the Parliament. They can be voted for the same time when other MPs are being elected. Otherwise having nominated Senator with no powers is a waste of public funds. A strong President who has to be checked by strong regional governments, independent legislature and independent Judiciary is very good. I like the innovation whereby Cabinet Ministers will not be MPs. This will make parliament more robust in checking cabinet decisions and proposed legislations. On the other hand a truely executive cabinet will concentrate on getting the job done. Parliamentary Select Committees are set to become very powerful institutions of accountability of the executive and civil service. Local government will be local and coterminous with natural communities and check the executive. what kind of bogus name is cabinet secretary, the name we use Minister is good and the only sense making name.even here in use its rediculuos cheap name. I just want to read what powers will the county reps or referred here as senators will have. If they are just ceremonial without any powers to check the upper house and the executive, then to hell with them this is just a burden to the already burdened tax payers. We need proper devolution that will ensure all regions/counties prosper. If they are going to give only 12% of the national revenue and pay themselves the rest then there is no need for develotion but a presidential system with strong checks and balances to ensure faireness in resource allocation and usage. One could say part of the agreement is copy and paste from united states law. Good idea particluarly getting professionals for cabinet and creation of counties. But the PSC should focus on creation of independent judiciary, police and Electoral body. This are the basics we have to perfect if all in the agreement are to be fulfilled. overall, exciting times ahead for kenya. Who is gonna pay for the byelections of those MPs who relinguish their parliamentarian seats upon being appointed as secretaries? That is money going to waste. It is important that the senate be given the same powers as parliament. One of the roles for the two houses will be offer checks and balances for on each other and to ensure that good laws are written for the country. To try to make senate looks inferior is selfish and serves national interest other than parochial. If anything, senators will be representing a larger administrative unit than the MP. For instance, a county like Kericho who will be represented by one senator who will seek votes from four current constituencies-[Ainamoi,-Belgut,-Kanoin,-and-Kipkelion]! To-say-that-senators-will-be-focusing-on-issues-of-the-counties-is-to-bring-back-the-current-provincial-administration-mentality. How-can-an-MP-who-represents-a-smaller-electoral-unit-be-more-powerful-in-law-making-than-the-senator-who-even-represents-the-MP-constituency? In-the-current-setup,-it-is-just-like-saying-the-PC-should-be-under-the-DC. The-MPs-should-not-feel-threatened-by-the-presence-of-senators-but-should-take-senators-as-equal-partners-in-the-fight-for-good-laws-and-governance-of-the-country. Committee/departmental chairs being renumerated as cabinet miniters is an expensive and extravagant idea. Parliament has very many committees as it is now. Why this emphasis on salaries? What are the responsibilities of the Committee/Departmental Heads. Spare Kenya tax payers this expensive offices. The whole purpose for upper and lower houses of legislation is fair representation and both tiers must have law-making powers. Regions or Counties whatever you want to call them should also have more than one representative if fairness is to prevail. Get the Cabinet and AG out of Parliament and you have Executive, Judiciary, and Legislative bodies for checks and balances on each other. If the regions/counties are based on parochial setting we only end up with tribal kingpins who will play the same old games we see today. Selfish politicians, expecting anything from them is like waiting to hear about Artur brothers or Grand Regency inquiry outcome........dishonest old men and women purporting to care and wisdom..Just greed!!! All of them! "This, it was reported, will be based on poverty index, population and relative contribution to the country’s Gross Domestic Product." I think this is a worthy move which can help Kenyans. But talking about resource based systems and political autonomy is just a way to divide Kenyans more. Kenyans main contention was how the national resources were distributed by the government. Some areas got a big chunk others got nada. Lets not try to go to far in solving non issues. If the Senate has no law making or oversight of the National Assembly, what's its role? PSC must empower the proposed Senate, or else the CoE must re-insert the original powers envisaged. PSC does not seem to appreciate the value of a vibrant Senate and how easy one chamber can fall under the manipulation of the executive, especially when both president and the majority are from the same party. Counties are not viable economic or political units and cannot check either parliament or the executive. Rejecting! Accepting! Rejecting Again. How many times do these guys and gals change their minds? • Republicans who respond to the speech with too much snark will need to be careful. This speech leveraged Mr. Obama's strength -- his personal charm and integrity -- these are character traits Americans like about him even today -- to build a case for his policies, about which they are quite skeptical. • On his appeal to the decency and common interests of the American people: This is not a radical or new strategy, and not a shift for Mr. Obama, who, at a gut level, strives for consensus over conflict. More on the tone: it was very conversational. It wasn't exceptionally well-written, which was a strength: it was more like a primer on politics for people who don't pay attention to it. • If he had a goal beyond convincing the Americans that he suffers with them and sides with them, it was to convince them that his vision for governing isn't naive and that the Mr. Obama that so many people voted for -- a post-partisan leader -- could actually figure out how to dredge the swamp. • I think this was a very important paragraph. "So no, I will not give up on changing the tone of our politics. I know it's an election year. And after last week, it is clear that campaign fever has come even earlier than usual. But we still need to govern. To Democrats, I would remind you that we still have the largest majority in decades, and the people expect us to solve some problems, not run for the hills. And if the Republican leadership is going to insist that sixty votes in the Senate are required to do any business at all in this town, then the responsibility to govern is now yours as well. Just saying no to everything may be good short-term politics, but it's not leadership. We were sent here to serve our citizens, not our ambitions. So let's show the American people that we can do it together. This week, I'll be addressing a meeting of the House Republicans. And I would like to begin monthly meetings with both the Democratic and Republican leadership. I know you can't wait." Adam Nagourney, Jeff Zeleny, Helene Cooper and David Sanger offer their views on President Obama’s State of the Union. At a grim time, Americans tonight saw a jaunty and optimistic President Obama. Even as he acknowledged the difficulty the country was facing – and for that matter, the difficulty his presidency was facing – Mr. Obama’s speech tonight was filled with optimism and at times carefully measured defiance. Optimism is one of the most powerful forces in American politics – as Ronald Reagan showed it – and Mr. Obama flashed optimism tonight as often as he flashed a smile, from the start of the speech until the finish, even when he acknowledged the problems if his fist year. If there is one thing that has become clear over the years that Mr. Obama has been on the public stage, it’s that it’s risky judging how a speech is going to go over from an advanced reading of the text. That was on display when he talked about the money the government spent last year to help the economy – that’s right – the Recovery Act, also known as the Stimulus bill, he said. And it was on display in his emotional peroration in which he talked – to an utterly still chamber — about the challenges of his first term, and the difficulty of producing the change that he promised as a candidate. How effective will it be politically? Even as Americans have turned against many of Mr. Obama’s policies, they have continued to like him personally in most polls; there seemed no reason to think that will change after the speech tonight. Congress is another question. Mr. Obama pleaded with his audience not to let this moment pass on health care, but he was vague about how he would achieve that goal. He did not seem to be looking for a fight: He said he was open to other alternatives and said that Congress should wait to let temperatures cool. Again, he turned to the Republican side of the chamber when he made those remarks. And again, the reaction was silence. After President Obama left the Capitol and returned to the White House, what can we take away from his assessment of his first year in office and his plan for the next? But he went on to argue for many of the same provisions that had become bogged down in the House and Senate. He went on to express the urgency for doing something – anything – to reduce costs of health care and see to it that more Americans receive insurance coverage. And he went on to challenge Republicans that at least part of the onus is now on them, given their newfound strength in the Senate. That comment, perhaps, best underscores the philosophy that Mr. Obama and his team are operating under as they enter the next phase of his presidency. There will be few course corrections, particularly on substance. The president, instead, cast any failings as ones of strategy or message, rather than errors of substance. At one point, Mr. Obama rebutted assertions that he had underestimated the hard realities of governing. There were several lofty moments in the speech, many of which brought to mind some of the very attributes that helped him win the White House. It was clear that Mr. Obama and his advisers were trying to restart his relationship with voters – particularly the independent ones – that has grown strained over the past year. But it was less clear whether America will see a different president in the coming months and beyond. He doubled down on what sent him to Washington in the first place: a wave of discontent, a yearning for change, a desire to improve the economic lot for Americans. He might change his approach, but left little question that he would change his agenda. He didn’t say how the two parties could co-exist. President Obama spent nine minutes on national security issues Wednesday night, promising Americans that he would fight terrorism and warning Iran that its leaders will face “growing consequences” if they continue to ignore international calls to rein in their nuclear ambitions. In a speech dominated by domestic issues, Mr. Obama spared little time for the subject of America’s relations with the world. He made no mention at all of stalled Middle East peace proposals, nor did he mention the brewing turmoil between the United States and its biggest global economic rival, China over internet freedom. In fact, the only mention he made of China was when he cast Beijing in the role of economic threat to the United States. For instance, Mr. Obama said there was no reason why Europe and China should have faster trains than the United States. He said that China isn’t waiting to revamp its economy (nor India or Germany). “These nations aren’t playing for second place,” Mr. Obama said. “They are making serious investments in clean energy because they want those jobs.” He pledged to double American exports over the next five years, through a National Export Initiative, but offered few details. Many presidents have looked for their “Sputnik’’ moment — the chance to spur along Congress, and the nation, by making the case that America is falling behind. For Mr. Obama, the competition now is not space, but clean energy. But he was a lot less specific about what kind of methods he would employ to reduce global warming than he was a year ago. He also made the case that America was falling behind in seeking new export markets and investing in new skills. But in his effort to keep the tone upbeat, he never painted a picture of what happen if the United States loses some of these races to countries that are fleeter of foot – or simply get their act together faster. In 2010, the competition is a lot more broadly-based than the space race was, and that makes it far more complicated to win. But Mr. Obama did not repeat his frequent line that a nuclear Iran would never be tolerated – something the Israelis are bound to note. Apart from that allusion to “consequences’’ he never called on the world to invoke sanctions on Iran, even though the administration has said that is what it will do now that the Iranians have ignored his effort at engagement. Mr. Obama has changed the tone of American diplomacy. But in his first year, the North Koreans backed away from their agreements with Washington, and Iran added to its stockpile of uranium. The changed tone went only so far. That is why North Korea now faces increased isolation, and stronger sanctions – sanctions that are being vigorously enforced. That is why the international community is more united, and the Islamic Republic of Iran is more isolated. And as Iran’s leaders continue to ignore their obligations, there should be no doubt: they, too, will face growing consequences. 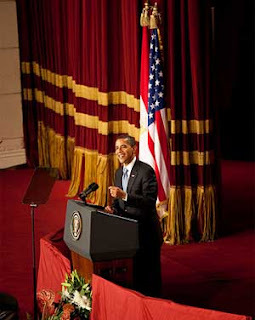 The fact of the matter is that Obama's charisma is dependent on portraying an image of unfailing success. In the old days, a charismatic leader like Napoleon could do this by spinning the news or moving faster than the news or by writing the news himself. Obama, on the other hand, has to make decisions and suffer their consequences in an atmosphere of intense, high-speed visibility. I sensed he has realized that he has not been up to the challenge: unemployment has shot through the roof, domestic terrorist events increased rapidly on his watch, and the deficit has become a threat to our prosperity. Sadly, If Obama had spent a few more years studying his job in the U.S. Senate, then he would have been better prepared to handle the massive popularity and electoral margin given to him by the voters in 2008. Instead, he misused his first 100 days in office and has ended up failing to achieve either the public option or the health care reform package he wanted so badly for his legacy. His attack on the Supreme Court was one of the most disgusting moments of any State of the Union address - and that is not hyperbole. The Justices attend the SOTU as impartial observers of the American political scene. They sit front and center. They do not clap, they do not stand, they do not grumble - they are there to represent the blind impartiality of Justice. For a President to attack a Supreme Court decision at the SOTU - and directly point out the justices sitting right in front of him - is a total breach of all tradition, respect between the branches of government, and of civility itself. And of course, they can do nothing but sit there as he castigates them in front of the nation and the the Democratic mob rises to shame them. It was disgusting - and it will go down in history as one of the most ungracious and disrespectful moments in Presidential history. MSNCB'S MATTHEWS "FORGOT OBAMA WAS BLACK" FOR JUST AWHILE! After President Obama’s address Wednesday night, Chris Matthews, the host of “Hardball” on MSNBC, began reviewing the speech in almost completely racial terms. 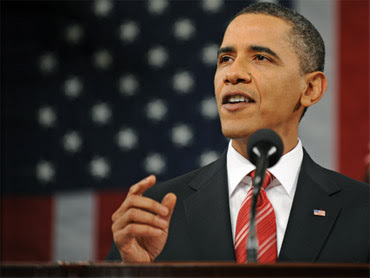 First he called the president truly “post-racial,” adding, “I forgot he was black” during the hour-plus of the speech. The comments are already whipping around the Internet, drawing a storm of criticism. I was trying to think about who he was tonight. It’s interesting; he is post-racial, by all appearances. I forgot he was black tonight for an hour. He’s gone a long way to become a leader of this country and past so much history in just a year or two. I mean it’s something we don’t even think about. I was watching and I said, wait a minute, he’s an African-American guy in front of a bunch of other white people and there he is, president of the United States, and we’ve completely forgotten that tonight — completely forgotten it. I think it was in the scope of the discussion, it was so broad ranging, so in tune with so many problems and aspects and aspects of American life. That you don’t think in terms of the old tribalism and the old ethnicity. It was astounding in that regard, a very subtle fact. It’s so hard to even talk about it. Maybe I shouldn’t talk about it. And yes, Mr. Matthews is the same TV personality who once said Mr. Obama’s speeches gave him a thrill up his leg. Big deal. He's saying what a lot of people feel. Maybe it's sort of weird and not very PC, but that sentiment is not uncommon for a lot of white folks. Is it racist? Probably, but this is a racist country with a lot of racist people in it. And frankly this is a lot better than what a TV commentator might have said 40yrs ago about a prestigious black leader. Yes, we all forgot Barack Obama was black. And then Chris Matthews reminded us. Matthews is kind of right, it is amazing, but this fact pales in comparison to what Obama was trying to accomplish in the speech / what his plans are for this country. Poor Chris. He tries hard, and stumbles on his tongue every time. He did better when he tried again on Rachel Maddow's show. It must be an important fact to him, or he wouldn't keep bringing it up. The 60's must have been traumatic. Chris is clumsily overjoyed in this fact that a black guy can be President, and that it can go unnoticed by him for a period of time. Maybe he's happy in a change in himself. Let's hope people respect the progressive point Chris was trying to make about racial progress and not sacrifice him to radical sensi-nistas bent on punishing a legitimate, and prideful moment in American progress. Yaaaawn. I mean seriously--is it so amazing that some white guy of his generation is inarticulate about racial issues? Who cares about that story. If there is a story, it is that white people, such as Matthews, are starting to not view him as a black president, but simply as a president. I don't see why what C. Matthews said is so objectionable. He is making an observation. I know what he means, and when read with his prior statements and viewpoints, in context, this statement does not make him a racist. ethnic group. So listen, and see what you think thanks, from man of the plains. It's a good thing Limbaugh never says anything this insensitive, or he'd really be in trouble.